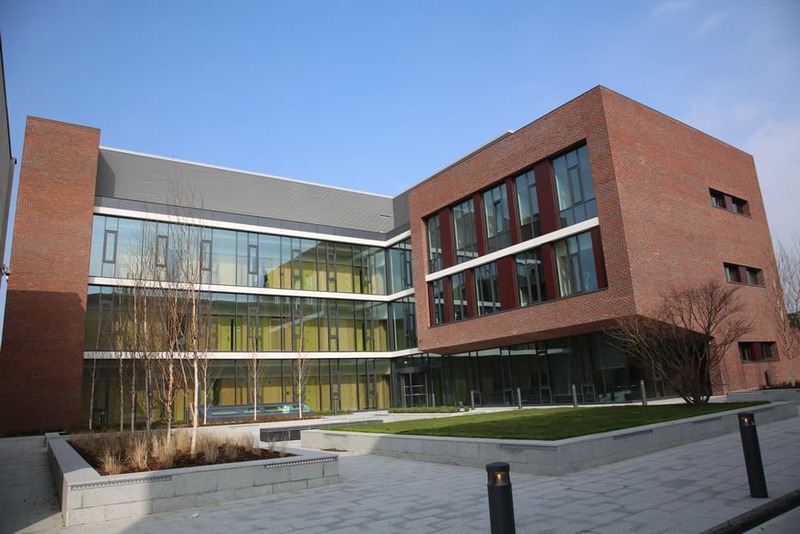 The Nano-Bioanalytical Research Facility (NRF) is located on the Dublin City University (DCU) Glasnevin Campus. 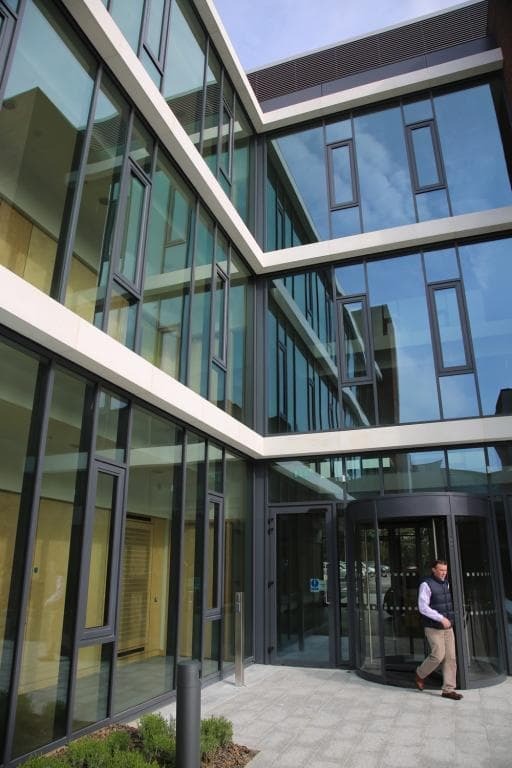 The state of the art facility was funded under the Higher Education Authority Programme for Research in Third Level Institutions and established to address the needs of the research activities in Science and Engineering, both within and external to DCU. 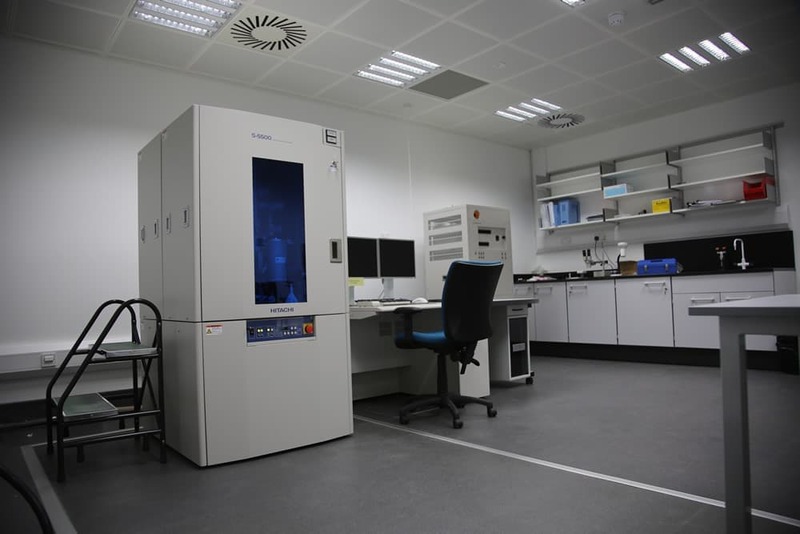 The NRF houses a large range of cutting edge research equipment that allows it to create core capabilities across areas such as Nanosynthesis, Nanometrology, Micro and Nano fabrication, Nano-BioPhotonics and Analytical Characterisation. 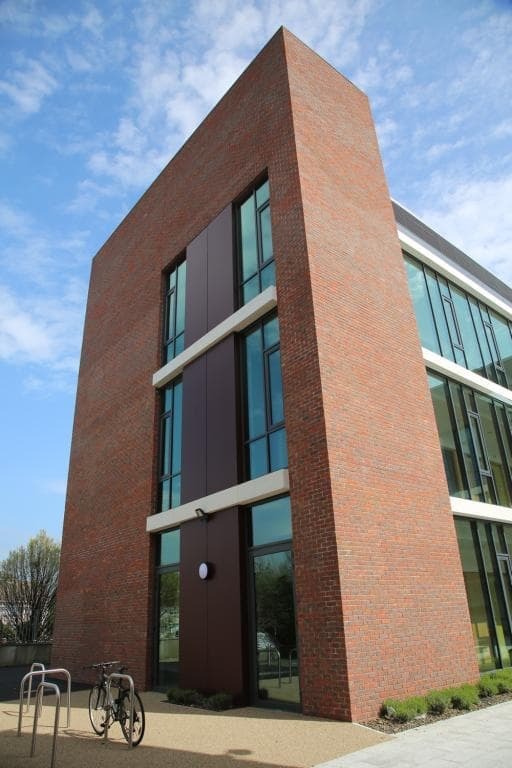 Felix O’Hare & Co Ltd were commissioned in 2013 to construct the new 4,000sq.m, 4-storey facility. It contains a 929m² laboratory wing and a 3,071m² administration wing joined at a glazed central concourse. 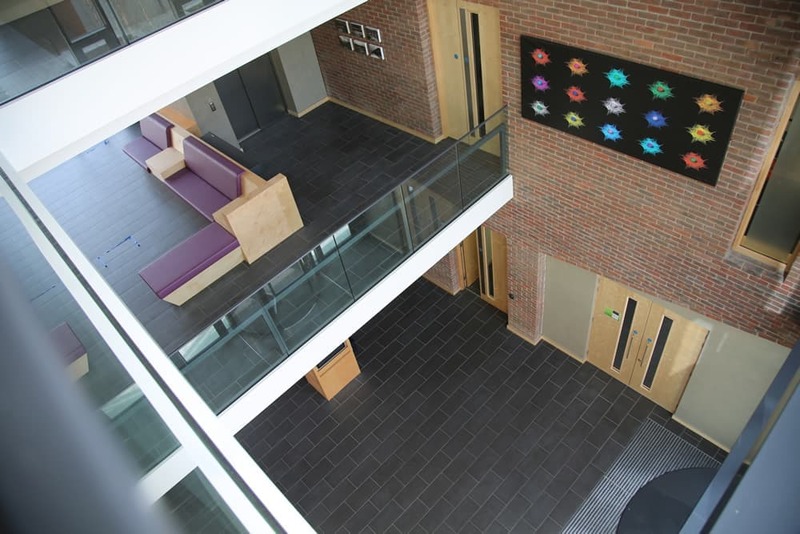 The laboratory wing contains two floors of science laboratories over a basement level of vibration and noise sensitive specialist research laboratories while the 3-storey admin wing provides open plan and cellular offices, meeting spaces, a seminar room, storage and ancillary areas to serve the whole building. The seminar, exhibition and communal spaces were provided to encourage inter-disciplinary interaction and collaboration in the research programmes and to help with the dissemination of information on these emerging technologies among the university’s scientific community. The building required the highest levels of acoustic and vibration isolation possible as well as advanced temperature control in specialised laboratories which house highly sensitive equipment such as atomic force and scanning electron microscopes. This necessitated construction under the close supervision of our vibration consultant with testing carried out throughout completion of the frame (the specific anti-vibration requirements were a critical pre-requisite to achieving handover). 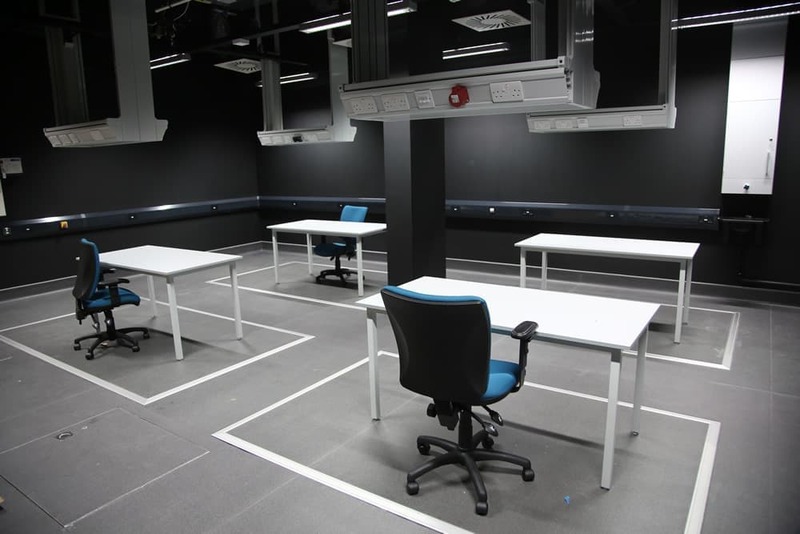 The M&E fitout was equally advanced with services design including provisions for laboratory supply and exhaust air systems including fume hoods, water, waste, specialist’s gases, power, data, lighting, fire alarm, access control and full air-conditioned spaces integrated with high end architectural aesthetics. Dedicated boiler/hot water generation and air handling plant connected to district heating, lighting and lighting controls, general power and new passenger lifts were also provided with all elements linked to a sophisticated campus wide building management system integrated with campus wide systems. We attended air tightness training provided by SAGA prior to the project commencing and this led to us achieving an air tightness rating for the project which was < 2.0. 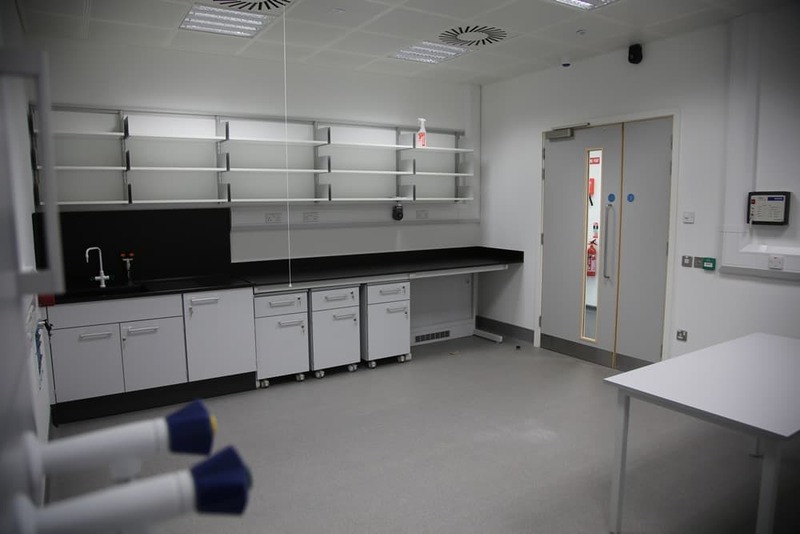 A full specialist laboratory fit-out on the four floor levels included 24nr fume cupboards, 6nr Rotovap units and other specialist equipment. We successfully managed the M&E integration with same plus we applied a rigorous IQ (Installation Qualification – pre. Ceiling / wall closure) and OQ (operational qualification – testing of running systems) process in order to provide full validation and successfully achieve commissioning and handover.